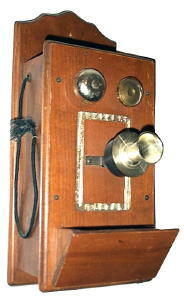 A less-popular novelty phone radio, the Master RT-200 shares many similarities with Guild's Country Belle. The bells serve as the knobs, and the speaker is behind the fake microphone. No, it can't do phone calls.